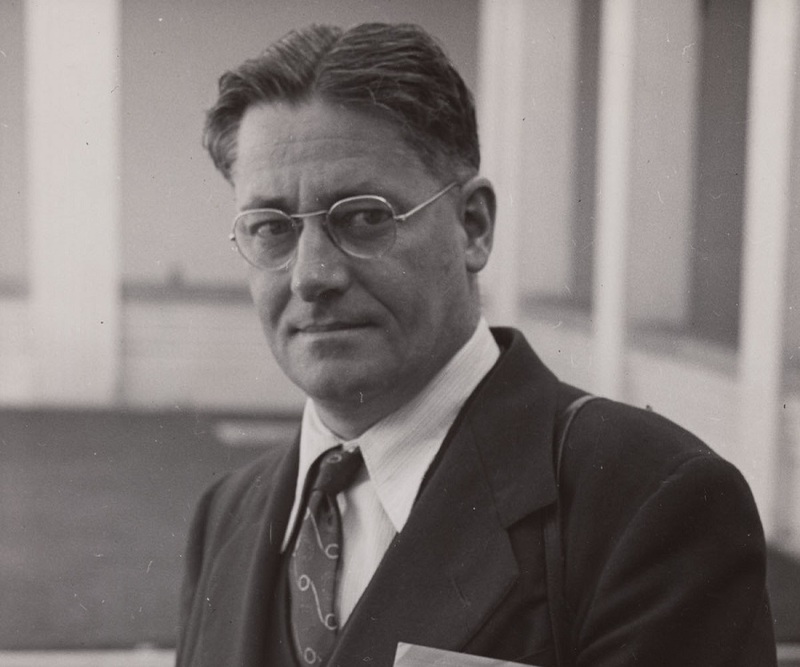 Howard Florey was an eminent Australian pathologist who is credited for making penicillin available to the world. 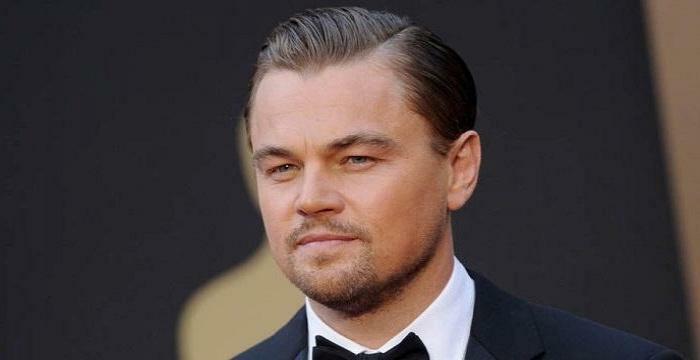 With this biography, explore about his childhood, life, achievements and timeline. Though Sir Alexander Fleming is credited with the discovery of a mould which developed on some germ culture plates, had it not been for Sir Howard Florey, this discovery would have remained only a scientific idiosyncrasy and nothing else. Florey is credited with taking the discovery further by isolating the active substance of penicillin from it. Together with Ernst B Chain, he developed a way of mass producing penicillin. The discovery of Penicillin came at a critical time and saved millions of lives during World War II and thereafter. It was due to this that he is considered by the Australian scientific and medical community as one of the greatest scientists. 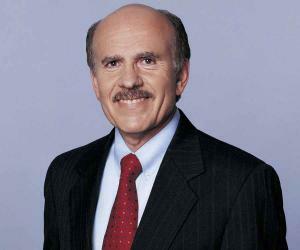 He was bestowed with numerous awards and honours in his lifetime including the prestigious Nobel Prize in Medicine. As a human being, he was a loner with few close friends; laboratory research and travel were among the few things that fascinated him. He was concerned about the population explosion due to improvements in the field of medicine. Howard Walter Florey was born on September 24, 1898 at Adelaide, South Australia to Joseph and Bertha Mary Florey. He was the youngest of the eight children born to the couple. Academically brilliant, he completed his preliminary education from Kyre College Preparatory School before enrolling at the St. Peter's Collegiate School, Adelaide for higher studies. Following this, he gained admission at the Adelaide University in 1917. After four years of studies, he graduated with a degree in MBBS in 1921. His academic brilliance and strong aptitude for learning earned him a Rhodes scholarship to Magdalen College, Oxford. In 1924, he graduated with a degree in BA and MA. Upon completing his course from Magdalen College, Oxford, he moved to Cambridge enrolling therein as a John Lucas Walker Student. In 1925, he shifted to United States upon gaining a Rockefeller Travelling Fellowship. Returning to Cambridge in 1926, he studied under Fellowship at Gonville and Caius College and subsequently in 1927, gained his PhD from the University of Cambridge. Meanwhile, he also was bestowed with	the Freedom Research Fellowship at the London Hospital. Immediately after completing his Doctorate degree, he gained appointment as Huddersfield Lecturer in Special Pathology at Cambridge. He continued in the profile for four years before taking up the Joseph Hunter Chair of Pathology at the University of Sheffield in 1931. In 1935, he gave up his chair at Sheffield to return to Oxford wherein he filled in the position of the Professor of Pathology and Fellow of Lincoln College. It was while working with Ernst Boris Chain and Norman Heatley in 1938 that he first read about Alexander Fleming’s paper, which gave details about the antibacterial effects of Penicillium notatum mould, which the latter had fortuitously discovered in 1928 when it developed on some germ culture plates. Working along with Chain and Heatley, he conducted a series of research, investigating the properties of the naturally occurring antibacterial substances. Initially the duo was interested in Lysozome, an antibacterial substance found in human tears and saliva, but this did not remain for long as they moved to finding out in details about antibiotics. After months of hardship, he was finally able to produce an effective and safe antibacterial agent from the raw mould, successfully manufacturing the same from the liquid broth in which it sustained. After the publication of the 1940 report which gave details about the chemotherapeutic agent that penicillin was and its ability to kill sensitive germs in the body, experiments and clinical trials began to be conducted to find out more about its therapeutic properties. First, penicillin showed promising results when tested on mice infected with streptococci and staphylococci. Due to this, mass production of the antibiotic was encouraged for it to be tested on humans. In 1941, the first human to undergo treatment penicillin was Albert Alexander. He was suffering from severe facial infection after being scratched from rose thorn. His entire face, eye and scalp had become swollen. Though he recovered after being given penicillin, the illness relapsed as a result of insufficient amount of penicillin and subsequently led to his death. Eventually, efforts were made by the government for mass production of the antibiotic for it to be made available to the public for use during World War II to treat the war wounds. However, due to the inadequacy of the British industry, USA became the prime producer of the antibiotic. Penicillin claimed to have miraculous effect. It was discovered at a time when even a small scratch could lead to amputation of a limb or even death, and diseases like pneumonia, syphilis, gonorrhea, diphtheria, and scarlet fever were virtually untreatable. Interestingly, his original interest in the discovery of Penicillin was to satisfy scientific interest. He barely had envisioned that penicillin would have therapeutic properties. As such, the medical discovery was merely an added bonus that none had originally contemplated. With the onset of World War II, he was given the position of Honorary Consultant in Pathology to the Army. 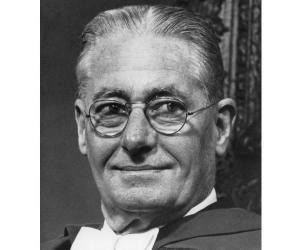 In 1944, he was appointed Nuffield Visiting Professor to Australia and New Zealand. In 1946, he was made Honorary Fellow of Gonville and Caius College, Cambridge and in 1952, an Honorary Fellow of Magdalen College, Oxford. In 1962, he was appointed as the Provost of The Queen's College, Oxford and chancellor of the Australian National University, Canberra (1965), positions which he held until his death. In his lifetime, he became honorary member of many learned societies and academies in the field of medicine and biology. In 1941, he was elected as the member of the Royal Society. Seventeen years later, in 1958, he became its president. He was appointed as Fellow of the Royal College of Physicians, and later Royal Australian College of Physicians. In 1944, he was bestowed with the honor of being appointed as Knight Bachelor. In 1945, he shared the Nobel Prize in Physiology or Medicine along with Ernst Boris Chain and Alexander Fleming for jointly discovering and developing the antibiotic properties of the mould that makes Penicillin. In 1962, he took up the position of the Provost of The Queen’s College, Oxford. It was during his term as the Provost that the college inaugurated a new residential building in his name. In 1965, he was appointed as life peer. Subsequently, he became Baron Florey of Adelaide in the State of South Australia and Commonwealth of Australia and of Marston in the County of Oxford. Same year, he was appointed as the Companion of The Order of Merit. 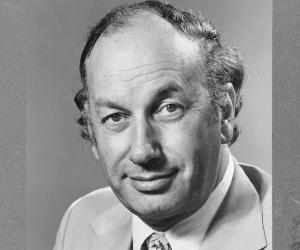 For three years preceding his death, from 1965 to 1968, he chaired the seat of the Chancellor of the Australian National University. 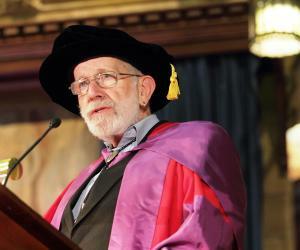 Throughout his career, he was awarded honorary degrees by seventeen universities. He first met Ethel while the two were studying at the University of Adelaide. The two eventually married in 1926. Ethel studied medicine and went on to become a surgeon and scientist. She assisted her husband in the latter’s penicillin research team. The couple was blessed with a daughter and a son. Following his first wife’s death in 1966, he tied the nuptials for a second time with lab assistant Dr Margaret Jennings. Their marital life did not last long as Florey died seven months later. He breathed his last on February 21, 1968 at Oxford, United Kingdom due to heart attack. He was honoured with a memorial service at Westminster Abbey, London. Posthumously, his portrait appeared on the Australian $50 note for 22 years. In 2006, the federal government of Australia renamed the Australian Student Prize as Lord Florey Student Prize. The award is given to outstanding high-school leavers. 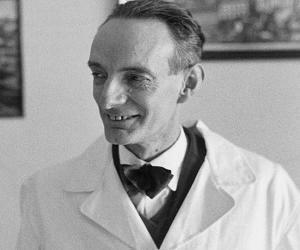 Though this Australian pharmacologist and pathologist took pride in the discovery of antibiotic penicillin, he was anxious of the population explosion and blamed himself for the rise in populace due to improving healthcare.